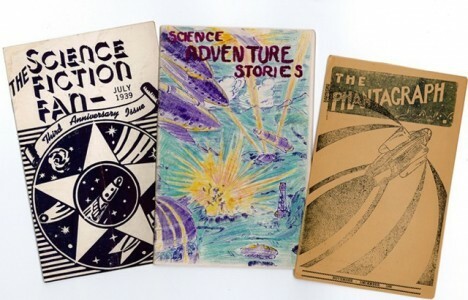 Fanzines were the key pre-digital mode for sharing knowledge and love about sci-fi across space and time, and now the University of Iowa Libraries is beginning to make thousands of them digital. Their plan is to start with the James L. “Rusty” Hevelin Collection, which contains thousands of volumes, spans decades and features elaborately hand-illustrated titles and hand-drawn artwork. The library acquired the collection after the author and artist passed. His work covers sci-fi culture dating back to 1941 and the first ever science fiction convention. 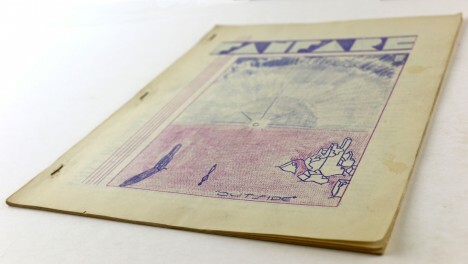 These zines not only helped fans, but they also assisted aspiring authors. 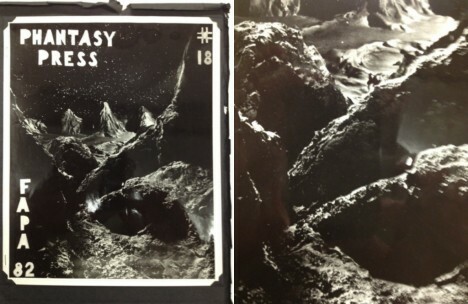 “They also provided an accessible platform for writers including Ray Bradbury, Robert Heinlein, and Arthur C. Clark who would go from fanzines to the icons of the genre.” In many cases, the earliest work of these greats rests only in zines, not in books, and would be lost if only their novels and published short story collections remained. See more in Retrofuturistic or under Vintage & Retro. May, 2016.